The Galveston Island Pass is sold exclusively here at GalvestonIslandPass.com. Select four or more participating attractions and save 40% off retail price. Passes are valid 30 days after purchase. If you haven’t been to Galveston lately, now is the perfect time to experience some of the island's unique attractions – at a price you can't refuse. 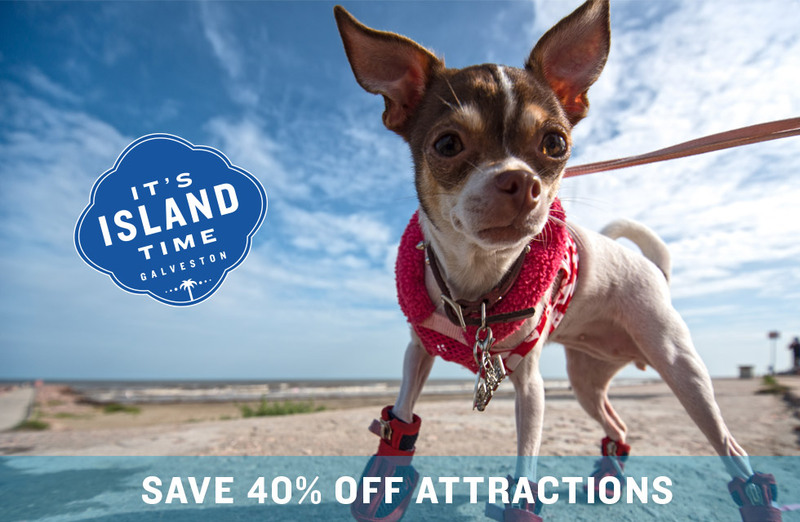 The Galveston Island Pass is your key to adventure and savings while exploring the numerous attractions that make Galveston so special. Many of Galveston's popular attractions are participating in the Galveston Island Pass. Pick a minimum of four attractions to receive the discount. Please note the schedule of operations for each attraction outlined in the terms and conditions. Each attraction operates independently and on a limited schedule.